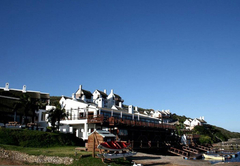 The Breede River Lodge is a Witsand hotel providing accommodation for tourists visiting the Cape Overberg region. Discover Cape charm on a rare stretch of paradise! 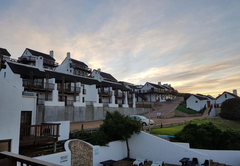 From our open leisure deck overlooking our quaint private harbor, with its bobbing boats, one can watch the fiery South African sun setting over the tranquil waters of the mighty Breede River. 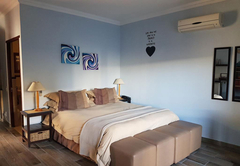 There is a variety of top class accommodation at the hotel with various options from a fully serviced hotel room to a fully self catering unit. 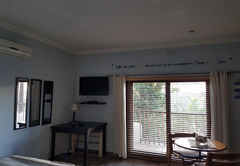 All accommodation comes with colour televisions and a variety of Satellite channels. 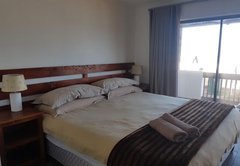 Seven luxury harbour and river facing double rooms are available, with under floor heating. 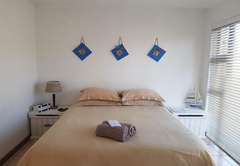 Eight standard double rooms are available, some with air-conditioning. 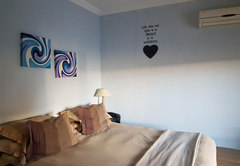 We have seven studio type rooms suitable for two people. There are also six luxury two bedroom duplex apartments and a sleeper couch can be added to these apartments. 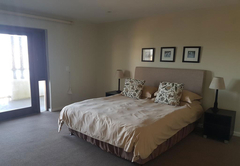 The hotel also has three special Luxury three bedroom apartments. Enjoy a cocktail next to the pool or simply enjoy relaxing in the sun or make use of one of the many braai areas situated around the lodge. 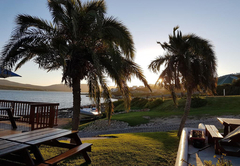 Pili Pili River Bar and Restaurant is situated on the waters edge, overlooking the mighty Breede River. This makes for an amazing backdrop while enjoying breakfast, Lunch or dinner. The restaurant offers a relaxed atmosphere. It’s perfect to recharge, unwind or fuel the body and soul after an adventurous day on the water. 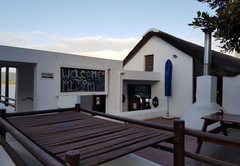 The menu offers a full day breakfast, light meals and their famous thin based wood fired pizzas, ribs and local Witsand oysters. You can also enjoy sundowners while taking in the breathtaking Witsand sunsets from the deck overlooking the water. The bar also offers a range of colorful cocktails and the beers are always ice cold. 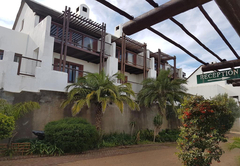 Pili Pili Adventure Centre is situated in the Breede River Lodge at Witsand. The pristine Breede River offers itself as a world class playground for water sports enthusiasts young and old. We are on the waters’ edge overlooking the private harbor from where our adventure centre operates. We offer Kite surfing and Stand Up Paddle boarding with full boat support. Mark Woof will be able to assist with all of your boating needs and requirements. 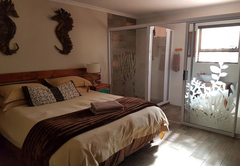 We are situated in Witsand / Port Beaufort “THE” whale nursery of South Africa on the Garden Route midway between Cape Town and Plettenberg Bay, on the unspoilt bank of the mighty Breede River. The water course is tidal and navigable for up to 40km. The area is a mariners dream both on the river and the sea. 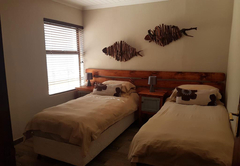 Angling features as the number one attraction with many record breaking catches over the years as will be seen on the Breede River Lodge Wall of Fame. There are safe tranquil beaches for walking and swimming; beautiful in the windless and mild winter days. The area is also renowned for all kinds of water sport, swimming, surfing, wind surfing, kite surfing, stand up paddle boarding, deep sea and river fishing, rock, boat and fly fishing, river cruises, canoeing, sailing, spear fishing and snorkeling. 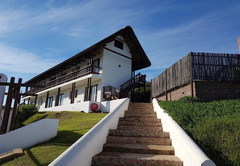 We are ideally situated on the Garden Route as a middle point and base from which to travel and experience the vast arrays of attractions available on this route. 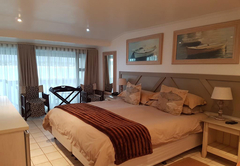 Spacious luxury King size double or twin room situated on the waterfront, inside main building, with good view of the Breede River and harbour. Full en-suite bathroom and private balcony. Fully serviced. Coffee and tea facilities. Selected DSTV channels. 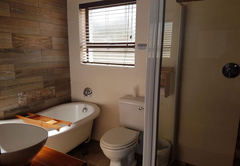 Two bedroom, one/two bathroom units. Open plan lounge, dining room. Fully self-catering, selected DSTV channels. 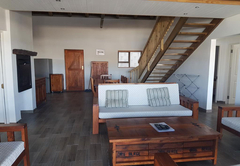 Private balcony and inside braai facility. View of Breede River and harbour. Inside main building, wheelchair friendly. Two bedroom, two bathrooms. Upstairs an open plan lounge dining room and fully equipped kitchen. Selected DSTV channels. Fireplace and underfloor heating. Serviced daily. Private balcony with view of the Breede River. 30m-100m away from the main building. 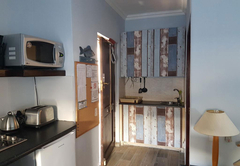 A Standard duplex One bedroom Self-Catering unit. All the facilities you need. Full Bathroom. Fully equipped kitchen and living area upstairs. Balconies downstairs and upstairs. Dstv. Double bed. 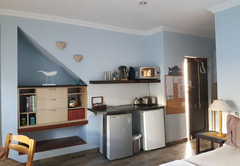 Lovely Two bedroom duplex self-catering unit. Two Bedrooms downstairs each with it's own bathroom. Upstairs you have a full kitchen and open plan living area. Dstv. Balconies downstairs and upstairs. Lovely Three bedroom duplex units. Two bedrooms downstairs each with it's own bathroom. third bedroom upstairs with own bathroom. Open plan kitchen and living area. Balconies dowstairs and upstairs. Dstv. 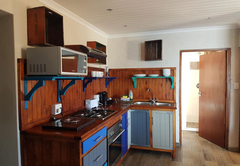 These are our bigger self-catering units. Dstv. 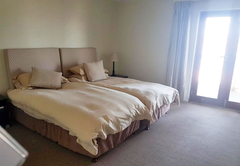 Double beds or Singles. Open plan living areas and kitchens. Three bathrooms. Very modern. 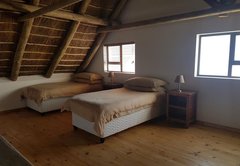 Two bedroom and 2 bathrooms, fully furnished self-catering unit. 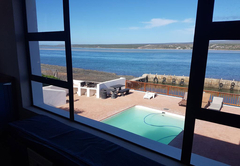 View over the Breede River and swimming pool. Indoor braai facility. Wheelchair friendly. 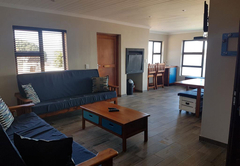 This is a 3 bedroom self-catering unit with colour television and a variety of satellite channels. 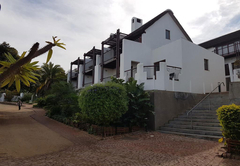 This is a two bedroom upstairs unit with an open plan lounge and dinning room. The kitchen is fully equipped to cater for 4. 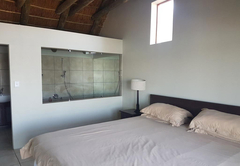 The unit has selective DStv channels and a fire place. 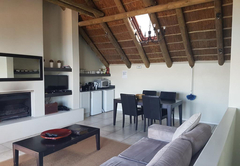 This is a 2 bedroom unit with colour television and a variety of satellite channels. 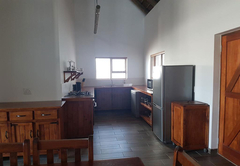 Standard 3 Bedroom self-catering unit for 6 people. Response timeThe Breede River Lodge typically responds to requests in 5-10 minutes. Child policyChildren of all ages are welcome, camp cots are available on request.